1. Presented a paper along with co-authors on “Data security using HAAR wavelet based LSB-DES approach in data transmission” in AICTE sponsored National conference on emerging trends in wireless communications and systems (NCETWCS-2014), 978-93-83083-62-6 (ISBN), March 7-8, 2014. 2. Presented a paper on “Automatic Speaker Recognition MEL Frequency -Cepstral Coefficients (MFCC)” at National Conference on Advances in Communication Technologies (NCACT-09) – 2009, at Sree Nidhi Institute of Science and Technology, Hyderabad, July-3-4, 2009. 3. Presented a paper on “ITU-T standardized CS-ACELP algorithm based speech coding for VoIP and Multimedia Communication” at National Conference on Advances in Communication Technologies (NCACT-09) – 2009, at Sree Nidhi Institute of Science and Technology, Hyderabad, July-3-4, 2009. 4. Presented a paper on “Automatic Voice Recognition using MEL Frequency -Cepstral Coefficients (MFCC)” at National Conference on Signal Processing and Communications (SPCOM-09) – 2009, at Malla Reddy college of Engineering and Technology, Hyderabad, December 4-5 2009. 5. Presented and secured second prize for paper on “Secured Speech encoding using viterbi coding” at National Student Symposium (SANKETHIKA-08) 2008 at Sree Nidhi Institute of Science and Technology, Hyderabad, April 18-19 2008. 1. Presented a paper along with co-author on “A Review on Atmospheric Effects on Free Space Optical Link” in the ICETEST -2017 held at S.V. University Tirupati, during 18th – 20th March 2017. 2. Presented a paper along with co-author on “A survey of different approaches for human emotion recognition using speech and image processing” in the IEEE(EDS) Kolkata Chapter Sponsored 5th international conference on “Computing, Communication and Sensor Network,” CCSN2016, organized by International Association of Science, Technology and Management During 24th – 25th December 2016. 3. Published paper along with co-authors on “ Adaptive down sampling approach using Harr Wavelet for low – bit rate image compression” in International Conference on Emerging trends in Electrical, Communication and Information Technologies (ICECIT -2012) , December 2012. 4. Submitted a paper as co-author on “Analysis of the Encoding Scheme for CS-ACELP Codec for Secured VoIP Communication” at IEEE international conference in computer science and information technology (ICSTE) 2009, August 2009. 1. Smt. Shaik Taj Mahaboob, K. Siva Chandra, B. Shiva Kumar published a Paper on “Lora Based Smart City Frame Works” in International Journal of Computational Engineering Research (IJCER), ISSN (e): 2250 – 3005, Volume 08, Issue 5, May – 2018, pp. 58-72. 2. Shaik Taj Mahaboob, A. Sree Madhuri “A Review on Atmospheric Effects on Free Space Optical Link”, International Journal of Engineering Research in Electronics and Communication Engineering(IJERECE) Special Issue, Volume 4, Issue 3, March 2017, pp.142-146. (ISSN Online 2394 6849). 3. Shaik Abdul Sattar, Shaik Taj Mahaboob, Dr. S. Narayana Reddy “Analytical Approach for Local Prediction Based Difference Expansion Reversible Watermarking” International Journal of Emerging Technology and Innovative Engineering (IJETIE), Volume 1, Issue 10, October 2015 (ISSN 2394 6598). 4. P. Srikanth, Shaik Taj Mahaboob, P.Sailaja “An High Equipped Power Constrained Algorithm for OLEDS based on SDMSR for Display of High Definition Videos” International Journal of Emerging Technology and Innovative Engineering (IJETIE), Volume 1, Issue 8, August 2015, pp. 1-5 (ISSN 2394 6598). 5. P. Sailaja, Shaik Taj Mahaboob, P.Sreekanth “Secure Image Transmission Using Secrete Fragement Image Mosaicing and pixel color Transformation” International Journal of Emerging Technology and Innovative Engineering (IJETIE), Volume 1, Issue 8, August 2015, pp. 6-10 (ISSN 2394 6598). 6. Y. Haribabu, Shaik Taj Mahaboob, Dr. S. Narayana Reddy “Resolution Enhancement of Satellite Image Using DT-CWT and EPS” International Journal of Science and Research (IJSR) Volume 3, Issue 11 November 2014, pp.735-739. (ISSN Online 2319 7064). 7. S. Mohaddeesh, Shaik Taj Mahaboob, “Power System’s Transmission Lines Relaying Improvement Using Discrete Wavelet Transform” International Journal of Engineering Research and Applications (IJERA) Volume 4, Issue 8 (Version 4) August 2014, pp.12-17. (ISSN 2248 9622). 8. K. Ravindra Reddy, Shaik Taj Mahaboob, K. Siva Chandra, T.S. Mahammed Basha “Secured Data Transmission Using Wavelet Based Steganography and Cryptography”, International Journal of Engineering Research and Applications (IJERA) Volume 4, Issue 2 (Version 5) February 2014, pp.45-50. (ISSN 2248 9622). 9. Arun Kumar Mayari, Shaik Taj Mahaboob, “Error-Compensated Adder Tree in Image Compression” International Journal of VLSI and Embedded Systems (IJVES) Volume 4, Issue 12 December 2013, pp.692-695. (ISSN 2249 6556). 10. Y. Satheesh, Shaik Taj Mahaboob, “Encryption of Text File in a Video Using Adaptive Compression of Video” International Journal of Science and Research (IJSR) Volume 2, Issue 11 November 2013, pp.348-351. (ISSN Online 2319 7064). 1) SrikanthPamuru, Chandra Mohan Reddy Sivappagari, “High Image Resolution using Curvelet and Cotourlet transform for Bio-Medical Applications,” Proceedings of 5th International Conference on Emerging Trends in Engineering, Technology, Science and Management (ICETETSM-17), Organized by Institution of Electronics and Communication Engineers, Bengalure, India on 20th August 2017, pp. : 408-416. (ISBN: 978-93-86171-60-3). 2) B.Guruprasad Reddy, Chandra Mohan Reddy Sivappagari, “Development of Smart Home Automation System based on IoT,” Proceedings of 6th International Conference on Research Trends in Engineering, Applied Science and Management (ICRTESM-2017), Organized at Institution of Electronics and Communication Engineers, Bengalure, India on 6th August 2017, pp. : 769-774. (ISBN: 978-81-934288-0-1). 3) R.Ravindraiah,S Chandra Mohan Reddy,“An Automated Exudate detection in Diabetic Retinopathy fundus images using Multi Kernel Spatial Fuzzy C means clustering method,” Proceedings of Joint International Conference on AI and Evolutionary Computations in Engineering Systems (ICAIECS-2017), organized by Madanapalle Institute of Technology and Science, Madanapalle during 27th -29th April 2017, pp. 9. 4) R.Ravindraiah,S Chandra Mohan Reddy,“Exudates Detection in Diabetic Retinopathy Images Using Possibilistic C-Means Clustering Algorithm with Induced Spatial Constraint,” Proceedings of Joint International Conference on AI and Evolutionary Computations in Engineering Systems (ICAIECS-2017), organized by Madanapalle Institute of Technology and Science, Madanapalle during 27th -29th April 2017, pp. 49. 5) M VenkataDasu, P. VeeraNarayana Reddy, S Chandra Mohan Reddy,“A proposal on application of nature inspired optimization techniques on Hyper spectral Images,” Proceedings of International Conference on Computer and Communication Technologies 2016 (IC3T 2016), organized by MIC College of Engineering, Vijayawada during 5th -6thNovember 2016. 6) P. Jaya Tharuni, S Chandra Mohan Reddy,“Reduction Of PAPR In LTE Systems Using Modified PTS Method,” Proceedings of International Conference on Advanced Computing and Communication Systems 2017 (ICACCS 2017), organized by Sri Eswar College of Engineering, Coimbatore during 6th -7th January 2017, pp. 432-436 (IEEE ISBN: 978-1-5090-4558-7). 7) K.Anitha, S Chandra Mohan Reddy,“Multi-focus image fusion based on Discrete Wavelet Transform (DWT) combines with SPIHT algorithm,” Proceedings of International Conference on Advanced Computing and Communication Systems 2017 (ICACCS 2017), organized by Sri Eswar College of Engineering, Coimbatore during 6th -7th January 2017, pp. 336-341 (IEEE ISBN: 978-1-5090-4558-7). 8) K. Sivakumar, S Chandra Mohan Reddy,“Building Change Detection and Counting of Multi Temporal Very High Resolution SAR Images,” Proceedings of International Conference on Mathematics & Computer Science 2016, organized by Nirmala College for Women (Autonomous), Coimbatore during 15th-17thDecember 2016, pp. 62-68, (ISBN: 978-93-84124-92-2). 9) B.NageswarRaoYadav, S Chandra Mohan Reddy,“IoT Based Smart Grid For Load Assessment And Abnormality Sensing,” Proceedings of UGC Sponsored Two day International Conference on Digital India-The Information for All, organized by K.B.N. College (Autonomous), Vijayawada during 2nd -3rd December 2016, pp. 186-197. 11) Sivakumar M, S Chandra Mohan Reddy, “Performance Evaluation for Image Fusion Using Neuro Fuzzy Approach,” Proceedings of International Conference on Recent Trends in Engineering & Technology (ICoRTET’16), organized by School of Engineering, Cochin University of Science and technology, Cochin during October 3rd – 5th, 2016, 2016, 196-201, (ISBN: 978-93-80095-82-0). 12) S Chandra Mohan Reddy, Kiranmayee M, “High Performance of Small Cell Cloud Radio Access Network using Radio over Backhaul,” Proceedings of International Conference on Cloud Computing & Visualization 2016 (ICCV 2016), Mumbai, February 2016. 13) P.Sundaraiah, S Chandra Mohan Reddy, “A Novel Method for Compressing Encrypted Images Using Auxiliary Information,” Proceedings of World Congress on Engineering and Computer Science 2015 (Vol-I), UCB, San Francisco, USA, 21-23 October 2015, pp. 529-533. 14) RamagiriRushikesh, S Chandra Mohan Reddy, “Development of IoT based Vehicular Pollution Monitoring System” Proceedings of 2015 International Conference on Green Computing and Internet of Things (ICGCIoT-2015), Greater Noida, India, 8th & 10th October 2015, pp. 780- 784 (ISBN: 978-1-4673-7909-0). 15) P.GokulSaiSreeram, S Chandra Mohan Reddy, “Development Of Industrial Intrusion Detection And Monitoring Using Internet Of Things,” Equinox 2ndInternational Conference on Engineering Confluence, Terna Engineering College, Navi Mumbai, India,30th September & 1st October 2015, pp. 113-118. 16) S Chandra Mohan Reddy,M.Manasa, “Data Hiding in Encrypted Compressed Videos for Privacy Information Protection” Proceedings of i-manager’s International Conference on Engineering and Technologies (IICET 2015),Trivandrum, India, 10th &11thApril -2015. (ISBN: 978-81-908910-3-5). 17) S Chandra Mohan Reddy, Nagabhushan Raju Konduru, S.Durga Krishnaiah, “Performance analysis of various LMS algorithms to remove PLI noise from ECG signals” Proceedings of International Conference of Science and Technology, Cornell University, New York, USA, 11th &12thAugust 2014. 18) B.Govardhan, S Chandra Mohan Reddy, “An OCR Based Digital Pen System using Trajectory Recognition Algorithm,” Proceedings of International Conference on Photonics, VLSI and Signal Processing (ICPVSP 2014), Warangal, India, 28th &29th March 2014. 19) S Chandra Mohan Reddy, Nagabhushan Raju Konduru, “Modified ATO algorithm based high accurate RDC Using Pulse Excitation,” Proceedings of 1st IEEE International Conference on Automation, Control, Energy and Systems (ACES 2014), Kolkata, India, 1st– 2nd February 2014. 20) S Chandra Mohan Reddy, Nagabhushan Raju Konduru, “High Tracking Accuracy Of Software Based RDC Using Various Excitation,” Proceedings of 1stIEEE International Conference on Advances in Electrical Engineering (ICAEE-2014), Vellore, India, 9th– 11thJanuary 2014, pp. 45. 21) S Chandra Mohan Reddy, “Software Defined Radio using Digital Modulation Techniques – A MATLAB® SIMULINK® Approach,” Proceedings of International Academic Conference on Electrical, Electronics and Computer Engineering (IACEECE-2013), Chennai, India, 8th September 2013, pp. 14-19. 22) S Chandra Mohan Reddy, Nagabhushan Raju Konduru, “Software Implementation of Angle Tracking Observer Algorithm for Resolve to Digital Converter,” Proceedings of 2nd International Conference on Electrical and Electronics Engineering & Technology 2013 (ICEEET-2012), Rasipuram, India, 25th& 26th April 2013, pp. 203-209. 25) S Chandra Mohan Reddy, Nagabhushan Raju Konduru, “Resolver to Digital Converter Based on Angle Tracking Observer Method,” Proceedings of International Conference on Advances in Engineering and Technology (ICAET2012), Nagapattinam, India, 28th& 29th March 2012. (Print: ISBN 978-1-4675-2245-8). 26) S Chandra Mohan Reddy, et.al, “Error Correction Algorithm for UWT equipment,” Proceedings of International Conference in Marine Hydrodynamics (MAHY 2006), Naval Science and Technological Laboratory, Visakhapatnam, India, 5thto 7thJanuary 2006, pp. 493-504. 1) S Chandra Mohan Reddy, Nagabhushan Raju Konduru, “A Novel Design Method for Resolver to Digital Converter,” Proceedings of National Conference on Emerging Trends in Engineering & Technology (VNCET’12), Vasai, India, 30th March 2012, pp. 343-348. 2) S Chandra Mohan Reddy, et.al., “Neural Networks in Speaker Identification,” Proceedings of National Conference on Recent Trends in Electronics and Communications (NCRTEC – 2007), Kurnool, India, 25thJanuary 2007, pp. 10-14. 1. Two day training program on “Internet of Things – An Industry Application Perceptive,” during 24th& 25th March 2017. 2. Two day National Level Faculty Development Program on “Digital Image Processing, Pattern Recognition and its Applications (with hands-on training)” (under TEQIP-II funds) during 19th&20thSeptember2016. 3. Two day National Level Faculty Development Program on “VLSI Design Advancements using XilinxTools” (under TEQIP-II funds) during 26th and 27thAugust2016. 4. Two day National Level Hands-on Training Program on MSP430 & TIVA Microcontrollers (under TEQIP-II funds) during 23rd& 24thJuly 2016. 5. Two day National Level workshop on “Internet of Things (IoT)” on 10th and 11th March 2016. 6. Two day National Level Students Technical Symposium “Scintillace 2k16” during 10th and 11th March 2016. 7. Two day National Level Workshop on “Linear IC Applications : A Systems Approach” (under TEQIP-II funds) during 25th & 26th September 2015. 8. Two day National Level workshop on “PCB Design and Tele-presence Robot Technology” on 6th and 7th March 2015. 9. Two day National Level Students’ Technical Symposium “Scintillace 2k15” during 6th and 7th March 2015. 10. Two day International Robotic Championship “RoboTryst2014-15” in association with IIT Delhi &Robosapiens Technologies Pvt. Ltd., New Delhi during 22nd& 23rd August 2014. 11. Two day National Level Students’ Technical Symposium “Scintillace2k14” (Under UGC XII plan grants) during 5th and 6th March 2014. 12. Two day National Level Workshop on “Digital Image Processing & Pattern Recognition using MATLAB®” (under TEQIP-II funds) during 24th& 25th January 2014. 13. Two day National Robotic Championship 2013 (NRC 2013) in association with IIT Kharagpur& ARK Techno Solutions, Mumbai on 21st & 22nd February 2013. 14. Two day National Level Students’ Technical Symposium “Scintillace 2k9” on 5th and 6th March 2009. 1. One day training program “To learn the optimal Mentor solutions for advanced routing techniques; Concurrent design and collaboration methodologies; 3D PCB design; IP management; and Problem solving with advanced analysis” organised by Mentor PCB Systems Forum at Hyderabad on 9th June 2017. 2. Three day short term Training program on “Paper and Article writing with LATEX” organized by Department of Electrical and Electronics Engineering, JNTUA College of Engineering (Autonomous), Pulivendula during 17th –19th March 2017. 3. Three day workshop on “NBA-SAR Filling & Preparedness for Assessment” organized by Engineering Staff College of India, Hyderabad at Goa during 22nd– 24th January 2017. 4. Four day workshop on “Internet of Things (IoT) for Digital World (Hands-on Practical Training)” organized by Engineering Staff College of India, Hyderabad at Tirupati during 19th – 22nd December 2016. 6. One day National Level workshop on “Research Concepts and Incubating ideas on IoT,” organized by University College of Engineering (Autonomous) Kakinada, JNTUK, Kakinada on 3rd August 2016. 7. Four day workshop on “Automatic Control Systems Analysis and Design with MATLAB/SIMULINK” organized by Indian Institute of Space science and Technology (IIST), Thiruvananthapuram from 17th May to 20th May 2016. 8. One day workshop on “Patent Drafting and Filling” organized by Engineering Staff College of India (ESCI), Hyderabad at JNTUA College of Engineering, Pulivendula on 23rd April 2016. 9. Three day workshop on “3rd World Summit on Accreditation (WOSA 2016)” organized by National Board of Accreditation (NBA), New Delhi during 18th – 20th, March 2016. 10. Two week Summer School on “Signals and Systems” organized by Indian Institute of Technology Gandhinagar, Gandhinagar during June 22nd – July 4th 2015. 11. Five day workshop on “Management Enhancement Capacity Program” organized by Indian Institute of Management Udaipur, Udaipur during 8th– 13thJune 2015. 12. One day IEEE workshop on “Awareness on Various Programs for Foreign University Collaborations” organized by Jawaharlal Nehru Technological University Anantapur, Ananthapuramu, on 16th May 2015. 13. Three day workshop on “Linear Integrated Circuits: A Systems Approach” organized by JNTU Anantapur, Ananthapuramu in collaboration with Sapience Consulting, under the Texas Instruments India University Programme at JNTU, Anantapur during March 2nd– March 4th, 2015. 14. Four day workshop on “Formulation of Research & Development Initiatives for Scientists and Technologists” organized by Engineering Staff College of India, Hyderabad during 16th – 19th September 2014. 15. One day workshop on “National Conference on Leadership in Higher Education” organized by Engineering Staff College of India, Hyderabad on July 4th, 2014. 16. One day faculty visit to Research Centre Imarath (RCI), Hyderabad organized by Confederation of Indian Industries (CII), New Delhi and TEQIP Andhra Pradesh State Project Facilitation Unit (APSPFU), Andhra Pradesh on 23/05/2014. .18. Two day workshop on “Soft Computing Techniques for Image Analysis” organized by department of CSE, V.R.Siddhartha Engineering College, Vijayawada during 18th& 19th December 2013. 19. Five day workshop on“Pedagogy Training” organized by National Institute of Technical Teachers Training and Research, Chandigarh, from October 28thto November 1st, 2013. 20. One day workshop on“Complementary Domains–VLSI & Embedded Systems” organized by Department of Electronics and Communication Engineering, JNTUA College of Engineering, Ananthapuramu, on April 30th, 2013. 21. One day workshop on “Embedded Systems” organized by Pearson Education and Department of Electronics and Communication Engineering, JNTUA College of Engineering, Ananthapuramu on October 5th, 2012. 22. UGC Sponsored National Level Two days Workshop on “Thrust Areas in Power Systems” organized by Department of Electrical and Electronics Engineering, JNTUA College of Engineering, Pulivendula on 18th and 19th November 2011. 23. One day Seminar on “MATLAB®& Simulink® for Engineering Education” organized by Mathworks India Pvt. Ltd. on 6th September 2011. 24. National Level Two days Workshop on “ARM Processor Interfacing with Hands on Experience” organized by Department of Electronics and Instrumentation Engineering, Velammal Engineering College, Chennai, during 26th – 27th August 2011. 25. National Level One day Workshop on “Fuzzy and Embedded Systems–Concepts & Applications (FESCA 2011)” organized by Department of Electronics and Instrumentation Engineering, V.R. Siddhartha Engineering College, Vijayawada, on 22nd January 2011. 26. Three week UGC sponsored refresher course on “Design and Applications of Robotic Systems and Advanced Mechanisms” organized by UGC-Academic Staff College, Jawaharlal Nehru Technological University, Hyderabad during March 8th – March 31st, 2010. 27. Four week UGC sponsored 11th Orientation course organized by UGC-Academic Staff College, Jawaharlal Nehru Technological University, Hyderabad during May 7th – June 2nd, 2007. 28. National Level Five dayWorkshop on “MATLAB Programming and Applications – MPA2007(under TEQIP)” organized by JNTU College of Engineering, Hyderabad during January 29th to February2nd, 2007. 29. National Level Two day Workshop on “Recent Advances in Digital Image Processing – (RADIP-2K3)”Organized by Department of Electronics and Communication Engineering, Jawaharlal Nehru Technological University College of Engineering (Autonomous), Kakinada on 29th and 30th December 2003. 30. Two week workshop on “Faculty Development Programme 2003” Organized by Department of Electronics and Communication Engineering, Gayatri Vidya Parishad College of Engineering, Visakhapatnam during April 28th – May 8th, 2003. 1) R.Ravindraiah, S Chandra Mohan Reddy, “Exudates Detection in Diabetic Retinopathy Images Using Possibilistic C-Means Clustering Algorithm with Induced Spatial Constraint,” Artificial Intelligence and Evolutionary Computations in Engineering Systems-Springer, Singapore, Vol. 668, March 2018, pp. : 455-463. DOI: 10.1007/978-981-10-7868-2_44 (Print: ISSN: 2194-5357, Online: ISSN: 2194-5365, Print ISBN: 978-981-10-7867-5). 2) R.Ravindraiah, S Chandra Mohan Reddy, “An automated exudates detection in diabetic retinopathy fundus images using multi kernel spatial fuzzy c means clustering method,” International Journal of Engineering & Technology (UAE)-Science Publishing Corporation, Vol7, No. 1.8, February 2018, pp. : 10-14. DOI:10.144419/ijet.v7i1.8.9442 (ISSN:2227-524X). 5) SrikanthPamuru, Chandra Mohan Reddy Sivappagari, “High Image Resolution using Curvelet and Contourlet Transform for Bio-Medical Applications,” International Journal of Advance Research in Science & Engineering, Vol. 6, Issue No. 08, August 2017, pp. : 1352-1360. (ISSN: 2319-8346 (P) 2319-8354 (O)), UGC approved Number: 47721, Impact Factor: 2.83. 6) B.Guruprasad Reddy, Chandra Mohan Reddy Sivappagari, “Development of Smart Home Automation System based on IoT,” International Journal of Electronics, Electrical and Computational System, Vol. 6, Issue 8, August 2017, pp. : 182-187. (ISSN: 2348-117X (P) 2230-7168 (O)), UGC approved Number: 48203, Impact Factor: 2.52. 7) K.VeeraNavendraReddy, Chandra Mohan ReddySivappagari, “Compression of Hyperspectral Images By Using DWT And SPIHT,”i-manager’s Journal on Pattern Recognition, Vol. 4, No. 1, March-May 2017, pp. : 30-35. (ISSN: 2349-7912 (P) 2350-112X (O)), DOI: https://doi.org/10.26634/jpr.4.1.13643. 8) O.Madhusudhan Reddy, S. Chandra Mohan Reddy, “A Secure Coding Approach for Digital Image Recovery and Protection using Watermarking,” Asian Journal of Research in Social Sciences and Humanities, Vol. 7, No. 3, March 2017, pp. : 1438-1448. (ISSN: 2250-1665 (P) 2249-7315 (O)), UGC approved Number: 1262, Impact Factor: 5.997. 9) K.Sowmya, Chandra Mohan Reddy Sivappagari, “Identification and Classification of Living and Nonliving Objects in Videos Based on Background Subtraction,” International Journal of Electronics, Electrical and Computational System, Vol. 6, Issue8, August 2017, pp. : 603-608. (ISSN: 2348-117X (P) 2230-7168 (O)), UGC approved Number: 48203, Impact Factor: 2.52. 10) ShamimoonShaik, Chandra Mohan Reddy Sivappagari, “Multi-Temporal SAR Image Change Detection Technique Depending on NSCT Transformation And SFCM,”i-manager’s Journal on Software Engineering, Vol. 11, No. 3, January-March 2017, pp. : 39-46. (ISSN: 0973-5151 (P) 2230-7168 (O)), Impact Factor: 5.338, DOI:https://doi.org/10.26634/jse.11.3.13632. 11) Kalle Manoj Pavan Kumar, Dr.S.Chandra Mohan Reddy, “Realisation Of Power Optimized FM0/Manchester Encoding Architecture Using Sols Technique,” International Journal of Advanced Research Trends in Engineering and Technology, Vol. 4, Special Issue 2, January 2017, pp. : 99-106. (ISSN:2394-3777 (P) 2394-3785 (O)), UGC approved Number: 62695, Impact Factor: 5.338, DOI: 10.20247/ijartet. 12) M VenkataDasu, P. VeeraNarayana Reddy, S Chandra Mohan Reddy, “A Proposal on Application of Nature Inspired Optimization Techniques on Hyper Spectral Images,” Springer Series on Advances in Intelligent Systems and Computing, Vol 542, December 2016, pp. 309-318. DOI: 10.1007/978-981-10-3223-3. (Print: ISSN: 2194-5357, Online: ISSN: 2194-5365), UGC approved Number: 49365. 13) R.Ravindraiah, P.Rajendra Prasad, S Chandra Mohan Reddy, “A Methodical Approach for Segmentation of Diabetic Retinopathy Images,” Indian Journal of Science and Technology, Vol 9 (S1), December 2016, pp. : 1-5. DOI: 10.17485/ijst/2016/v9iS1/95262(Print: ISSN:0974-6846, Online: ISSN:0974-5645). 14) M.RavindraNaik, S Chandra Mohan Reddy, “Plant Leaf and Disease Detection by Using HSV Features and SVM,” International Journal of Engineering Science and Computing, Vol. 6, Issue No.12, December 2016, pp. 3794-3797, Impact Factor: 5.611. 16) R.Ravindraiah, P.Rajendra Prasad, S Chandra Mohan Reddy, “Detection of Exudates in Diabetic Retinopathy Images using Laplacian Kernel Induced Spatial FCM Clustering Algorithm,” Indian Journal of Science and Technology, Vol 9 (15), April 2016, pp.1-6. DOI: 10.17485/ijst/2016/v9i15/88171 (Print: ISSN:0974-6846, Online: ISSN:0974-5645). 17) Shaik Mohammed Rafi, Dr. J.L. MazherIqbal, Dr. Chandra Mohan Reddy Sivappagari, “An Extensive Literature Review on Reversible Logic Gates,”International Journal of Innovative Research in Technology, Vol. 2, Issue 10, March 2016, pp. : 124-127. (ISSN: 2349-6002), Impact Factor: 5.8. 18) S Chandra Mohan Reddy,Kiranmayee M, “High Performance of Small Cell Cloud Radio Access Network using Radio over Backhaul,” Elsevier Procedia Computer Science, February 2016, pp. 957-962. UGC approved Number: 48229. (ISSN: 1877-0509). 19) S Chandra Mohan Reddy, NagabhushanRajuKonduru, S.DurgaKrishnaiah, “Performance analysis of various LMS algorithms to remove PLI noise from ECG signals,” Canadian International Journal of Science and Technology, January 2016, pp. 140-146. ISSN: 2356-9085. 20) R.Ravindraiah, S Chandra Mohan Reddy, “Qualitative Evaluation of Fuzzy Clustering Methods in Segmentation of Fundoscope Diabetic Retinopathy Images,” GESJ: Computer Science and Telecommunications, 2015, No-2(46), pp. 28-35. (ISSN: 1512-1232), Impact Factor: 0.8125. 21) R.Ravindraiah, S Chandra Mohan Reddy, “Retinal Exudate Detection using Novel Fuzzy Clustering Methods,” Research &Reviews: Journal of Engineering and Technology, Volume 4, Issue 4, October-December 2015, pp. : 16-21, (ISSN: 2319-9873), UGC approved Number: 64056, Impact Factor: 2.15. 22) R. DamodaraVaraprasad, S Chandra Mohan Reddy, “Implementation Of High Efficient Compression Method For Fingerprint Images,” International Journal of Electrical and Electronics Engineering &Telecommunications,Vol. 4, No. 4,pp. 7-14, October, 2015. (ISSN 2319 – 2518). 23) P.GokulSaiSreeram, S Chandra Mohan Reddy, “Development Of Industrial Intrusion Detection And Monitoring Using Internet Of Things,” International Journal of Technology Research and Applications, Special Issue, pp. 84-89, October, 2015. (Online: e-ISSN 2320 – 8163). 24) S Chandra Mohan Reddy, M.Manasa, “Data Hiding in Encrypted Compressed Videos For Privacy Information Protection,” i-manager’s International Journal on Image Processing, Volume 2, No. 2, pp. 26-31, April-June 2015. (Print: 2349 – 4530 & Online: ISSN 2349 – 6827). 25) M.Dileep Reddy, S Chandra Mohan Reddy, “Performance Evolution of Maximal Sequences for Rake Receiver over Rayleigh Flat Fading Channel”, International Journal of Engineering Research & Technology, Volume 3, Issue 5, pp. 72-76, May2014. (Print: 2278 – 0181 & Online: ISSN 2278 – 0181). (Impact factor: 1.76). UGC approved Number: 45539. 35) S Chandra Mohan Reddy, NagabhushanRajuKonduru, “Resolver to Digital Converter based on Angle Tracking Observer Method”, CiiT International Journal of Programmable Device Circuits and Systems, Volume 144, Number 9, pp. 101-112, July 2012. (Print: ISSN 0974-973X& Online: ISSN 0974-9624). (Impact factor: 0.492), UGC approved Number: 63381. 36) S Chandra Mohan Reddy, NagabhushanRajuKonduru, “Design of Linear Motion Control using Resolver to Digital Converter and LVDT”, International Journal of Advances in Science and Technology, Volume 4, Number 3, pp. 27-35, March Issue, 2012. (Print: ISSN 2229 5216 & Online: ISSN 2229 5216). 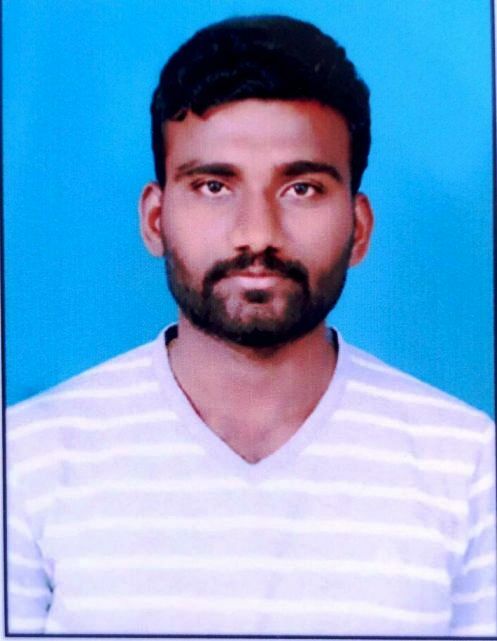 38) S Chandra Mohan Reddy, NagabhushanRajuKonduru, “Measurement of Resolver angular position information based on Inverse tangent Algorithm”, International Journal of Advances in Science and Technology, Special Issue, Volume 4, Number 2, pp. 28-35, 2012. (Print: ISSN 2229 5216 & Online: ISSN 2229 5216). 1) Principal Investigator for a project titled “Design and Development of High Accuracy Resolver to Digital Converter using Modified ATO Technique for Motor Control Applications (ROMRP-SERO-ELEC-2015-16-70240)” worth of Rs.3.7Lakh under UGC Minor Research Project. 2) Principal Investigator for a project titled “Department Automation System using Internet of Things” worth of Rs.1.5Lakh under TEQIP-II. 2. A research book on “Underwater Telemetry System Using M-ary FSK–Study and Design Issues,” Lambert Academic Publishing, 2013. ISBN: 978-3-659-44345-9. 3. A research book on “Techniques to Remove Power Line Interference from ECG Signal: Using Adaptive filter Algorithms,” Scholar’s Press, 2017. ISBN: 978-620-2-30216-6. 1. M.SivaKumar, Chandra Mohan Reddy Sivappagari, “High Performance of Small CellCloud Radio Access Network using Radio over Backhaul,” Proceedings of International Conference on Recent Trends in Engineering & Technology (ICoRTET’16), organized by School of Engineering, Cochin University of Science and technology, Cochin during October 3 rd – 5 th , 2016, 2016, 196-201, (ISBN: 978-93-80095-82- 0). 1. M.Sivakumar, P.Nagamallaiah, P.V.Kusuma “Performance Evaluation Of GIG Codes for DS-CDMA Communication Over Rayligh Flat Fading Channel ”.Accepted for publication in International Journal of Advanced Research in ECE (IJARECE), volume(6), Issue(5), May 2017,pages: 434-439, ISSN:2278-909X. 2. M.Siva kumar, P.V. Kusuma, M.Dileep reddy “Performance Evaluation of Maximal Sequences in Presence of Broadband Jammer for Band Pass BFSK System Over AWGN Channel” Accepted for publication in the International Journal of Advanced Research in Electronics and Communication Engineering (IJARECE), Volume 5, Issue 5, May 2016 , pp:1420-1425, ISSN: 2278 – 909X, Impact Factor 4.295 UGC Approved. 3. M.Siva kumar, P.G.Varna Kumar Reddy, P. Naga Mallaiah “Design and Implementation of a PCI Express Physical Layer Transmit Protocol” Accepted for publication in the international journal of Engineering research on-line (IJOER), Volume 4, Issue 3, May- June 2016 , pp:140-145, ISSN 2321-7758, Impact Factor 5.8701. 1. K. Siva Chandra, T.S. Mahammed Basha, K.Ravindra Reddy, P.G. Varna Kumar Reddy Presented a paper on “Small-Cell Zooming Scheme for Energy Efficient Two-Tier Hybrid Green Cellular Networks” in “National conference on Emerging Trends in Information, Management and Engineering Sciences (NC’e-TIMES # 1.0)” organized by Annamacharya Institute of Technology and Sciences, Rajampet, Kadapa(Dt), on 14th & 15th March 2018. 2. K. Siva Chandra, S. Taj Mahaboob, K.Ravindra Reddy, T.S.Mahammed Basha Presented a paper on “Data security using Haar wavelet based LSB-DES approach in data transmission” in the AICTE sponsored national Conference on Emerging trends in Wireless Communications and systems -2014 organized by Dept. of ECE, Sree Vidyanikethan College of Engg,Tirupathi During 7-8 March 2014. 1. K. Siva Chandra, S. Taj Mahaboob, Prof. S. Narayana Reddy Presented a paper on “A survey of different approaches for human emotion recognition using speech and image processing” in the IEEE(EDS) Kolkata Chapter Sponsored 5 th international conference on ‘Computing, Communication and Sensor Network’,CCSN2016, organized by International Association of Science, Technology and Management During 24th – 25th December 2016. 2. 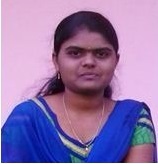 K. Siva Chandra, Smt. Shaik Taj Mahaboob, B. Shiva Kumar published a Paper on “Lora Based Smart City Frame Works” in International Journal of Computational Engineering Research (IJCER), ISSN (e): 2250 – 3005, Volume 08, Issue 5, May – 2018, pp. 58-72. 4. K. Siva Chandra, S.Taj Mahaboob, K.Ravindra Reddy, T.S.Mahammed Basha published a Paper on “Secured data transmission using wavelet based steganography and cryptography” in the international journal of Engineering research and applications, Vol 4. Issue 2 , Feb 2014. 5. Siva Chandra K, Ravindra Reddy K, Anusha G. Published a Paper on “An Higher-order synaptic operations in neural units for robotic image processing applications” in the International journal of computer applications 61(17):28-32, January 2013 by foundation of computer science, Newyork, USA. 6. Siva Chandra K, Ravindra Reddy K, Anusha G. International journal of engineering research and applications Article: Neural units with Higher-order synaptic operations for robotic image processing applications. ISSN:2248-9622, vol:3,issue:1, January-February 2013, PP:738-742. 1. Participated in internatational conference conducted by Anand institute of higher education , Chennai . paper name: Low bit rate image compression via adaptive down sampling approach and constrained least squares up conversion. 2. Participated in International conference conducted by SRIT-Anantapur. Paper name: Adaptive down sampling approach using Haar Wavelet for low bit rate image compression . proceedings will be published in Elsevier Journal. 3. Paper was presented at National conference on recent trends in Emeging trends in wireless communications and systems conducted by department of ECE ,Sree Vidyanikethan Engineering college at Tirupathi held on 7-8 March 2014. 4. K.Ravindra Reddy, K. Siva Chandra, T.S. Mahammed Basha, P.G. Varna Kumar Reddy Presented a paper on “Small-Cell Zooming Scheme for Energy Efficient Two-Tier Hybrid Green Cellular Networks” in “National conference on Emerging Trends in Information, Management and Engineering Sciences (NC’e-TIMES # 1.0)” organized by Annamacharya Institute of Technology and Sciences, Rajampet, Kadapa(Dt), on 14th & 15th March 2018. 1. Ravindra Reddy.K,Siva Chandra.K,Anusha.G Publised paper on An higher –order synaptic operations in neural units for robotic image processing applications was publised in International journal of computer applications January -2013,Published by foundation of computer science ,Newyork ,USA. 2. Ravindra Reddy.K,Siva Chandra.K,Anusha.G Publised paper on Neural units with higher order synaptic operations for robotic image processing applications was publised in International journal of engineering research and applications.ISSN: 2248-9622,Vol:3 Issue:1 ,January-February 2013,PP:738-742. 3. Ravindra Reddy.K,Siva Chandra.K,S.Taj Mahaboob,T.S.Mahammed Basha Publised paper on Secured data transmission using wavelet based steganography and cryptography was publised in International journal of engineering research and applications.Vol:IV Issue:II ,February 2014. 5. K.Ravindra Reddy, K. Siva Chandra, T.S. Mahammed Basha, P.G. Varna Kumar Reddy Published a paper on “Small-Cell Zooming Scheme for Energy Efficient Two-Tier Hybrid Green Cellular Networks” in “International journal of engineering and techniques special issue ISSN : 2395 – 1303 March 2018. 1. P.G. Varna Kumar Reddy ,K.Ravindra Reddy, K. Siva Chandra, T.S. Mahammed Basha, Presented a paper on “Small-Cell Zooming Scheme for Energy Efficient Two-Tier Hybrid Green Cellular Networks” in “National conference on Emerging Trends in Information, Management and Engineering Sciences (NC’e-TIMES # 1.0)” organized by Annamacharya Institute of Technology and Sciences, Rajampet, Kadapa(Dt), on 14th & 15th March 2018. 1. K.Ravindra Reddy, K. Siva Chandra, T.S. Mahammed Basha, P.G. Varna Kumar Reddy Published a paper on “Small-Cell Zooming Scheme for Energy Efficient Two-Tier Hybrid Green Cellular Networks” in “International journal of engineering and techniques special issue ISSN : 2395 – 1303 March 2018. 3. P.G.Varna Kumar Reddy, M. Siva Kumar, P. Naga Mallaiah, published Paper on “Design and Implementation of a PCI Express Physical Layer Transmit Protocol” was published in international journal of engineering research on-line, Vol 4. Issue 3 , May-June 2016. 4. P.G.Varna Kumar Reddy,G.Krishna murthy, P. Naga Mallaiah, published Paper on“Estimation of Built Up Areas from High Resolution Remote Sensing Image”s in international journal of advanced Research in Electronics and communication Engineering, Vol 5, ISSN 2278-909X,May 2016. 5. P.G.Varna Kumar Reddy, K.K. Varalakshmi, P. Satya Srikanth, published Paper on “MIMO Wireless Systems for Power Management” was published in international journal of Aplied Sciences, Engineering and Management Vol 2. ISSN 2320-3439 , September 2013. 1. P.Nagamallaiah,“Anti collision device between trains using Zigbee”, International Conference of Inter science ResearchNetwork,(ICECE-7APRIL-BANG-70-02. 1. P.Nagamallaiah,“A Mobile based Health care application for Heart rate and Body Temperature monitoring system using Arduino UNO,” National Conference on Emerging trends in information, Management and Engineering Sciences, AITS, Rajampet, Feb 2018, ISSN: 2395-1303, pp.01-04. 2. P.Nagamallaiah,“A High performance reconfigurable Cryptographic processor,” National Conference on Advances in information, Communication And Networking technologies, Tirupati 18th May2012, pp.43-48. 3. P.Nagamallaiah,“A High performance reconfigurable Cryptographic processor,” National Conference on Data Mining, HYD, India, 28thApril 2012, pp.51-55. 1. P.Nagamallaiah, “A Novel Approach for Edge Detection of Angiogram Images using Classical Image processing Technique” ,International Journal of Electrical Electronics and Computer Science Engineering (IJEECSE),E-ISSN: 2348 – 2273,Volume 5, Issue1, February 2018,pages:57-60,Impact Factor: 4.255. 2. P.Nagamallaiah, “Performance Evaluation of GIG codes for DS CDMA Communication over Rayleigh Flat Fading Channel” ,International Journal of Advanced Research in Electronics and Communication Engineering (IJARECE),ISSN: 2278 – 909X,Volume 6, Issue 5, May 2017,pages:0434-0439,Impact Factor: 4.295. 3. P.Nagamallaiah”Design and implementation of a PCI express physical layer trasmitprotocal”International Journal of Engineering Research(IJOER)-Online, A Peer Reviewed International Journal,Vol.4., Issue.3., 2016 (May-June),ISSN: 2321-7758,Pages:140-145,Impact factor:2.916. 4. P.Nagamallaiah,”Estimation of Built Up Areas from High Resolution Remote Sensing Images”,International Journal of Advanced Research in Electronics and Communication Engineering (IJARECE), Volume 5, Issue 5, May 2016,ISSN: 2278 – 909X,Pages:1202-1207,Impact Factor: 4.295. Paper was presented at National Conference on recent trends in “Emerging Trends in Information,Management and Engineering Sciences” conducted by Nc’e TIMES #1.0 Annamacharya Institute of Technology and Sciences at Rajampet held on 14th-15th March 2018. Paper was presented at National Conference on recent trends in “Emerging Trends in Wireless Communications and Systems” conducted by department of ECE, Sree Vidyanikethan Engineering College at Tirupathi held on 7th-8th March 2014. Paper was presented at International Conference on recent trends in “Computer Science and Information Technology (CSIT)” at Bangalore held on 24th-25th July 2011. Paper was presented at National Conference on recent trends in “signal processing & embedded systems applications” conducted by department of ECE, C.M.R College of Engineering & Technology at Hyderabad held on 8th-10th July 2011. Paper was presented at National Conference on recent trends in “Emerging Trends in Engineering Applications” conducted by department of ECE, Al-Habeeb College Of Engineering &Technology at Hyderabad held on 16th May 2011. T.S.Mahammed Basha, K.Siva Chandra, K.Ravindra Reddy, P.Varna kumar Reddy published Paper on “Small cell-zomming Scheme for energy efficient hybrid wireless cellular networks” was published in International Journal Of Engineering and Technology In IJET ISSN: 2395:1303 March – 2018. T.S.Mahammed Basha, S. Aswani Kumar Reddy, R. Basavaraju, M. Ramakrishna published Paper on “Multipurpose Mobile Based Health Care System by using Wearable Technology” was published in International Journal Of Engineering Research and Technology In IJERT, Volume. 3, Issue. 11 , November – 2014. T.S.Mahammed Basha, M.Dileep Reddy, G.Yateesh, K.Ravi Narayana published Paper on “Performance Analysis of Broadband Jammer For Bpsk System Using Maximal Sequences” was published in International Journal Of Engineering Research and Applications vol-IV, Issue-II, May-2014. T.S.Mahammed Basha and D.Venkatdas published Paper on “Medical Image Fusion Based On Multiwavelet Transform Algorithm” was published in International Journal Of Instrumentation Control And Automation (IJICA) ISSN:2231-1890 vol-I, Issue-ll, July-2011. T.S.Mahammed Basha, S.Taj Mahaboob, K.Ravindra Reddy and K.Siva Chandra published Paper on “Secured Data Transmission Using Wavelet based Steganography and Cryptography” was published in International Journal Of Engineering Research and Applications vol-IV, Issue-II, Feb-2014. 2. Published the paper titled, “Wireless Weather Monitor Using IoT” in i-manager journal on Embedded systems, Volume..6. No.1. July-December 2017 (UGC approved free journal). 1. “Fibonacci Numeral System (FNS) Based on Chip Cross Talk Avoidance High Speed Open System” International conference on explorations an innovations in engineering technology (ICEIET -2016) ON 18 th & 19 th March 2016. 1.“An efficient and improved radix_16 based booth multiplier for 64-bit based on the reduced height of partial product array” was published in International journal of research in advent technology (IJRAT). ISSN:2321-9637 may 2018. P. V. Kusuma, M. Sivakumar, P. Nagamallaiah, “A Novel Approach for Edge Detection of Angiogram Images Using Classical Image Processing Technique”. Accepted for publication in International Journal of Electrical Electronics & Computer Science Engineering Volume 5, Issue 1 (February, 2018) ,E-ISSN : 2348-2273 , P-ISSN : 2454-1222. P. V. Kusuma , M. Sivakumar, P. Nagamallaiah, “Performance Evaluation Of GIG Codes for DS-CDMA Communication Over Rayligh Flat Fading Channel ”.Accepted for publication in International Journal of Advanced Research in ECE (IJARECE) ,volume(6), Issue(5), May 2017,pages: 434-439, ISSN:2278-909X. P.V.Kusuma , M.Sivakumar, “Performance Evaluation Of Maximal Sequences In Presence Of Broadband Jammer For Band Pass BFSK System Over AWGN Channel” Accepted for publication in International Journal of Advanced Research in ECE (IJARECE) ,volume(5), Issue(5), May 2016,pages:1420-1425, ISSN:2278-909X. “Moving message in GSM based low-power e- noticedisplay’’ international conference on Advanced communication, VLSI and signal processing (ICACVSP-2015) held at G.Pullaiah college of engineering and technology, kurnool, A.P. on April 11, 2015. “Moving message in GSM based low power E-notice display” was publication in Global Journal of Trends in Engineering (GJTE). e-ISSN:2393-9923 ,volume(2), Issue(4), April 2015, pp:434-439. “An efficient high performance wallace tree multiplier using modified booth encoder design and implementation” published in International journal of applied science, engineering and management .ISSN:2320-3439, vol:5,issue:3, may 2016, PP:49-51. “Design and analysis of UWB antenna for wireless commercial applications” Was published in International journal of applied science, engineering and management .ISSN:2320-3439, vol:5,issue:3, may 2016, PP:56-59. “An efficient and improved radix_16 based booth multiplier for 64-bit based on the reduced height of partial product array” was published in International journal of research in advent technology (IJRAT). ISSN:2321-9637 may 2018. D. Masthan pasha, S. Varalakshmi published paper on “Fusion of Local and Global Features with Stationary Wavelet Transform for Efficient Content Based Image Retrieval” was published in international journal of Engineering research and applications, Vol 2. Issue 8, August 2015. S.VARALAKSHMI published Paper on “Use of memories and programmable logic arrays for asynchronous CAM” was published in international journal of Engineering research and applications, Vol 5. Issue 16, JUNE 2018. Presented a paper on “An Implementation of Area Efficient & Fast Addition and Multiplication Operation using Radix based Modified Booth Recoding Technique” International Conference on Advances in Engineering and Technology (ICAET-16) at Jaya Engineering College, TamilNadu on 07th May 2016. Presented a paper on “An Efficient System Design for 32 Bit Sum Product Operator in Modified Booth Form using Fusion Technique” at National Conference on Recent Advances in Communication and Electronics Engineering- 2016 at NIT Warangal held from 21st – 22nd October 2016. Paper accepted for publishing entitled as ” An Efficient and Improved Radix-16 Based Booth Multiplier for 64-Bit Based on the Reduced Height of Partial Product Array” in International Journal of Emerging Technologies and Innovative Research (JETIR), an UGC approved journal with ISSN: 2349-5162 with 5.87 Impact Factor. N. Shehanaz, Dr. T. Lalith Kumar published paper on “An Implementation of Area Efficient & Fast Addition and Multiplication Operation using Radix based Modified Booth Recoding Technique” was published in International Journal of Emerging Technology in Computer Science & Electronics (IJETCSE) with ISSN: 0976-1353, Volume 22, Issue 2, May 2016, PP:504-507. N. Shehanaz, M. Shalima Sulthana published paper on “Simulation of Power Tracking Scheme through Excitation Synchronous Wind Power” was published in International Journal of Advanced Research in Electrical, Electronics and Instrumentation Engineering (IJAREEIE) with ISSN: 2278-8875 Volume 6, Issue 2, February 2017, PP: 677-687. N. Shehanaz, M. Shalima Sulthana published paper on “A Novel Frame Work Secure and Reliable Data Routing in WSN (Wireless Sensor Network)” was published in International Journal of Computer Science Engineering and Scientific Technology (IJCSEST) with ISSN: 6201 3454, February 2017.